This month I am taking on 3 challenges. Challenges that will improve my strengths and address my weaknesses. Challenges that will ensure I use my time wisely. Challenges that will stretch me, but will not break me. Challenge #2: Blogging. 30 posts in 30 days. I really want to get this blog up and moving yet haven’t found the rhythm of writing frequently. As I am doing different things in my classroom or at home, as I’m reading the Bible or special education books, I constantly think, “That would be a great post! I should write about that!”. But do I? Not lately. So thanks to Bailey Jean at Brave Love I will! She has 30 writing prompts to help get the words flowing. I am hoping that by writing frequently I will fan the spark I already have for this blog into a bigger flame. Find out more about the Blog-Tember Challenge Today’s prompt is to write “About the Author” but seeing as I just did that a few weeks ago you, I’ll spare you 🙂 You can read more about why I started this blog here and more about Val and I here. Challenge #3: Scripture. Be in the Word daily. Again, a discipline that I have strived to make part of my everyday, but I have always fallen short. I’ve tried a few Bible in Year reading programs, random selection of verses, you name it. Then I came across Kristin Schmucker on Instagram and fell in love with how simple she made it. It doesn’t need to be hours on end but deliberate time reading and praying, time set aside with all my attention focused on the Lord. Being in God’s word is something we should desire, but it is also a discipline. I typically read my Bible at night, 3-5 chapters to end the day, but if I have a headache or am too tired or stayed out late I skip it. Then I would ultimately fall so far behind in the reading plan that I couldn’t catch up and the guilt would sink in. Guilt should not be our motivation for spending time with our Heavenly Father. Skipping time with Jesus is the last thing I want to do. In my heart its the first thing I want to do. So with the help of Kristin’s devotional journal and by waking up earlier, I now start my day reading Scripture, praying, and getting my heart focused on what is true and beautiful before I head out the door. Kristin’s challenge is to spend time each day in the Word. Time learning more about what God wants from us, how He has used other people, hearing from Him so we become more like Him. 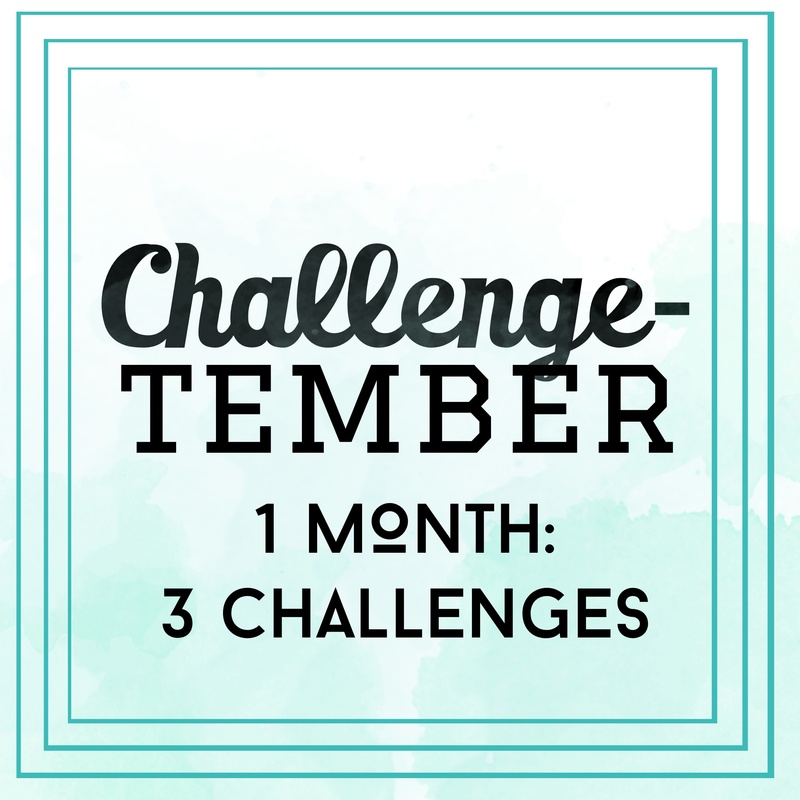 Challenge-tember. A month of stretching, growing, and learning in all areas of my life. 3.3 miles done. One blog post complete. Now for some precious time with Jesus to make sure my heart is set on things above. What challenge have you committed to this month? Proud of you! Love you BUGE!